Congratulations and thank you Christian! 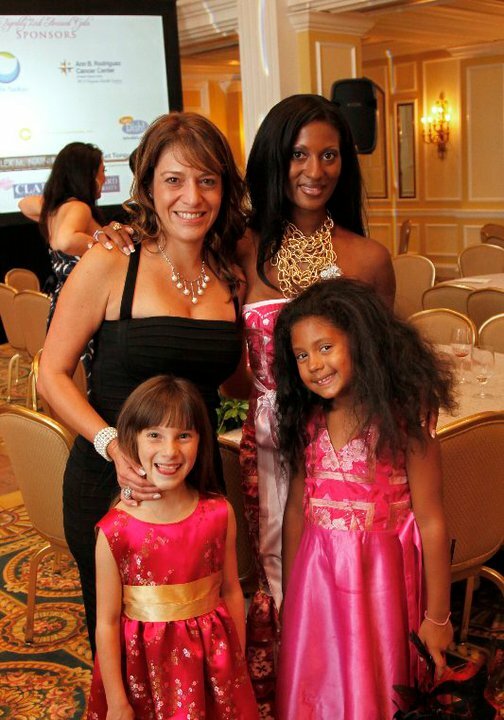 Thanks for sending in this adorable photo of you and your girls. Christian walked with her best friend whose mother is is a 6 year survivor and a friend of hers who lost her mother last year. What an amazing experience. 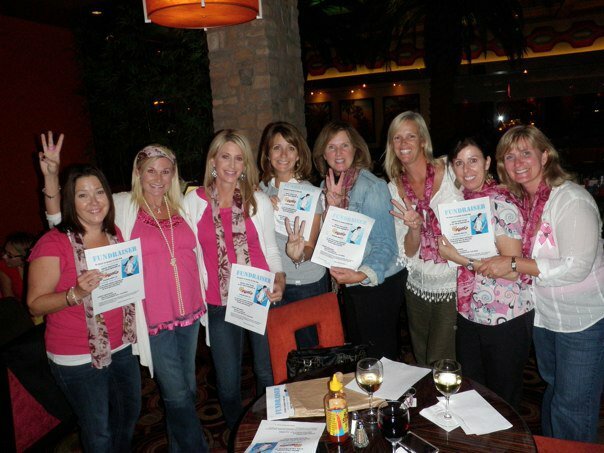 Here is a picture of Lynn's team, It's All About the Girlzzzz, that is walking the 3-Day Susan G. Komen in November. They had a fundraiser on October 6th at Miguel's in 4S Ranch, San Diego, CA. The restaurant was generous enough to donate 15% of food and beverage receipts that were attached to their fundraiser flyer. Congrats to you and your team Lynn! Sent in by Wendy (pictured in black dress) at the Tigerlily Foundation Gala, this foundation's focus is to promote breast cancer awareness and education to women under 40. Visit http://www.tigerlilyfoundation.org for more information. For the entire month of October, in honor of breast cancer awareness, send us a photo of you attending a fundraiser along with date and location to celebration@peacelovemom.com and we will send you a coupon code for 30% off plus FREE shipping. Thanks again Wendy and we look forward to seeing photos of all our moms raising awareness for this important cause."